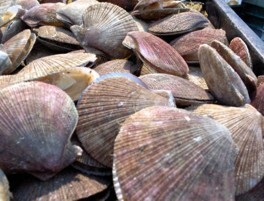 The then Centre Technologique des Produits Aquatique (CTPA), a research center of the Province of Quebec (Canada) Ministry of Agriculture, Fisheries and Food (MAPAQ), now known as Merinov, requested Oceatec assistance to participate in a technical feasibility study for the development of an onboard scallop screening system. The scientists of this governmental research center needed Oceatec expertise in mechanical design and in the development of industrial solutions to help them in evaluating this process. Oceatec team can collaborate with your own in-house team, or with university and research centers scientist, to develop the best solution for your fish and seafood process. If you already have an in-house or consulting team set-up to work on a project, we can join in to bring more ideas and expertise to the table and to progress faster towards your own fish and seafood equipment solution. Contact us to talk to one of our specialist.